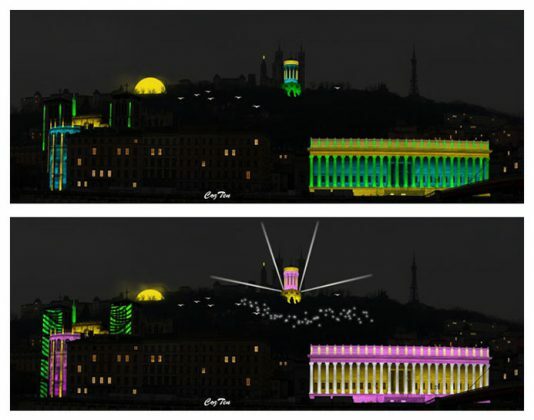 As a result, the 2016 edition of the Festival of Lights will be even more pleasant and friendly due to its refocusing on the historic heart of the city which will allow visitors to (almost) see everything in one evening! It must be said that the program is loaded. Around forty artistic projects are disseminated throughout the city. 100% original and unpublished creations, since it is the DNA of this event. 95% of the works scheduled in 2015 were postponed this year.